Search Engine Optimisation (SEO) work and Search Engine Marketing (SEM) are activities offered collectively under the SEO label by SEOtastic and each are subject to the individual agreement reached with each client. SEO work is governed by many factors which are outside the direct control of SEOtastic and indeed, any other SEO company. Therefore no reputable SEO company can guarantee particular results. SEOtastic however guarantees improvement provided in a client’s website organic search engine results provided all of SEOtastic ’s advice is followed. Ranking results will be performed once or twice per month, as agreed by both parties. Results are based on listings on Google, Yahoo! and MSN results. 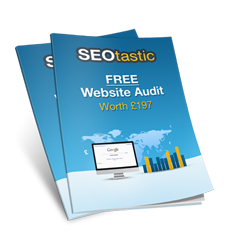 Search Engine Optimisation does not include Search Engine submission unless otherwise agreed by SEOtastic and the benefits clearly defined. Monthly reports (where applicable) will be circulated to clients within the first five working days of each month. The delay is inevitable in order to take into account metrics which accumulate over time and have a built-in timelag. Your website should be hosted on a reliable server, based in the country of Search Engine interest, with constant availability, for optimimum results. Should SEOtastic recommend changing your host or server, this is to protect the interests of your website’s ranking within the Search Engines. SEOtastic cannot be held responsible for slipping or unsatisfactory Search Engine Ranking results if SEO suggestions have not been adhered to.